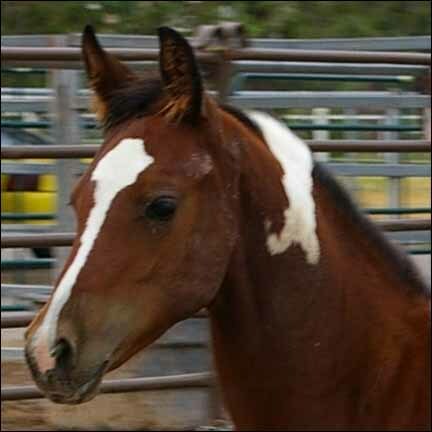 Besame Mucho is a 2012 APHA bay tobiano/overo mare. 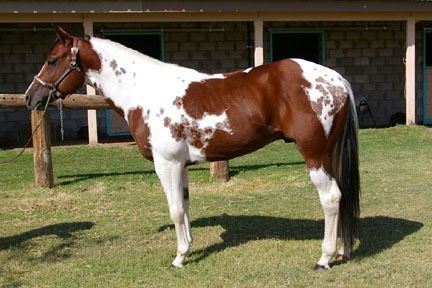 Besame Mucho, is by Velvet KSS out of This Painted Lady. 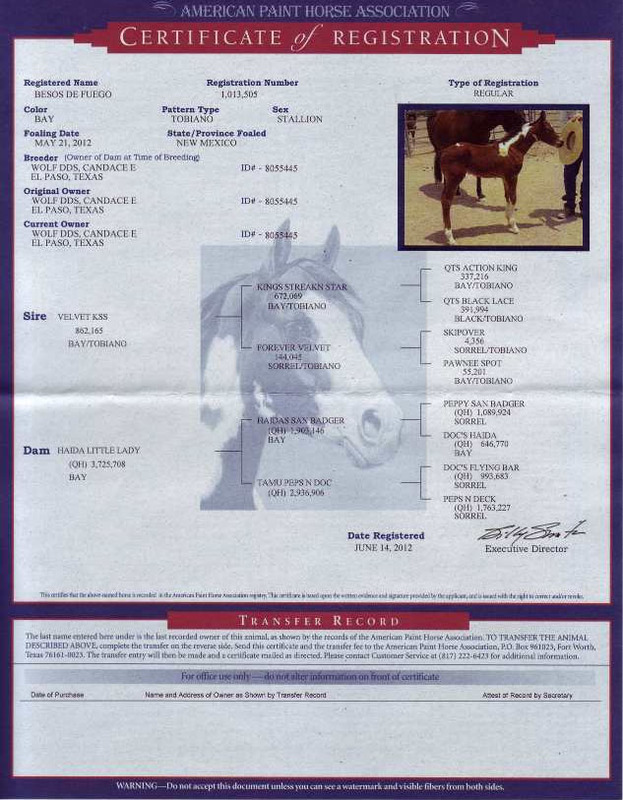 Click here to view the pedigree for Besame Mucho. 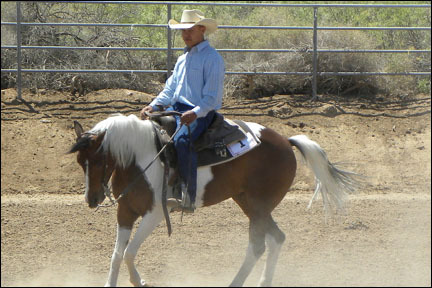 For more information email Candy at cwolf@elp.rr.com or call (915) 581-5283. 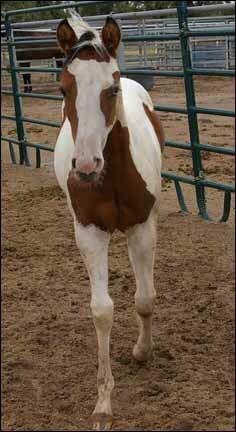 Besos de Fuego is a 2012 APHA bay tobiano stallion. 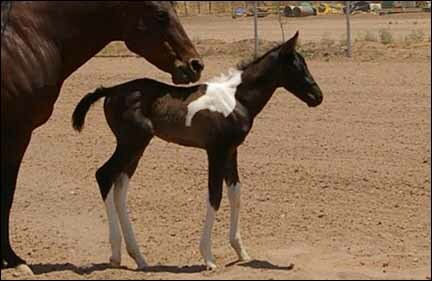 Besos de Fuego, is by Velvet KSS out of Haida Little Lady. 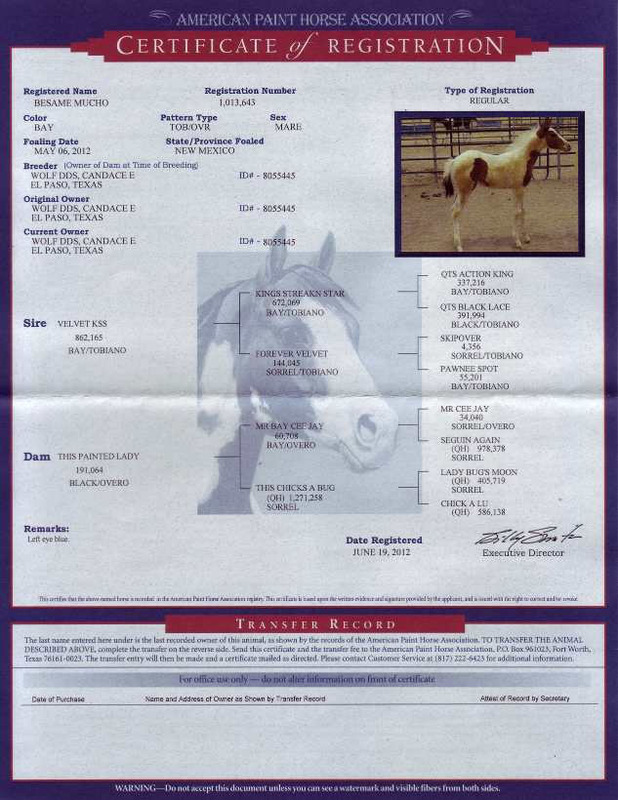 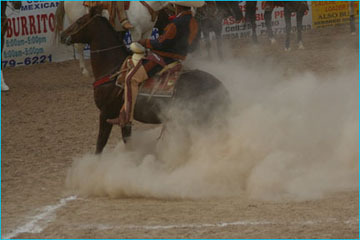 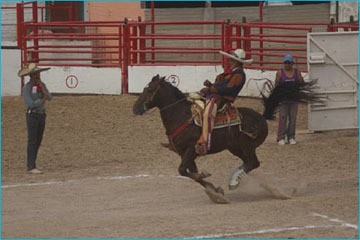 Click here to view the pedigree for Besos de Fuego. 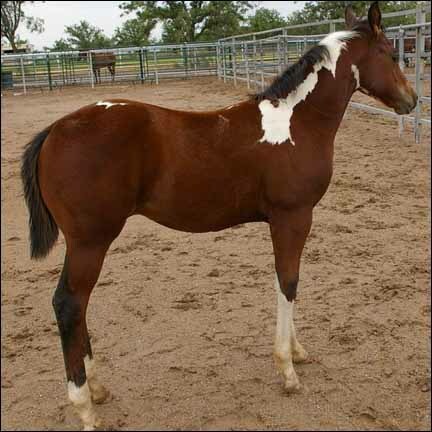 QTS Lady Doc is a 2011 APHA black tobiano mare. 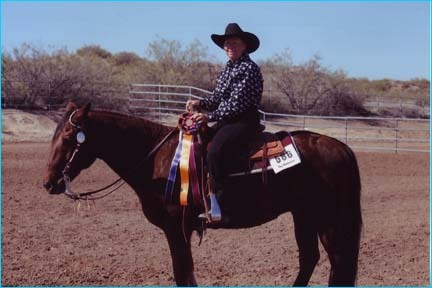 QTS Lady Doc, is by World Champion Reiner QT Poco Streke out of Haida Little Lady. 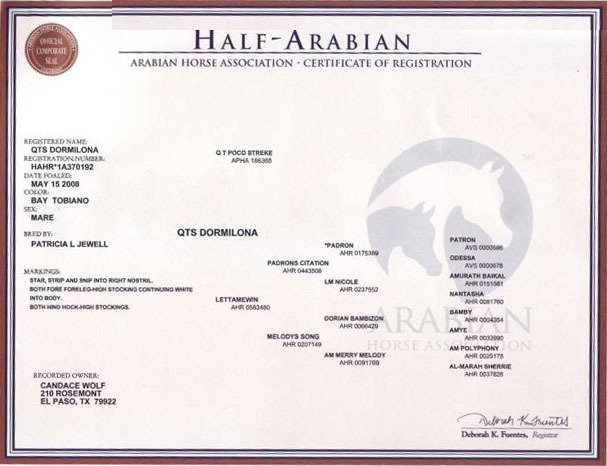 Click here to view the pedigree for QTS Lady Doc. 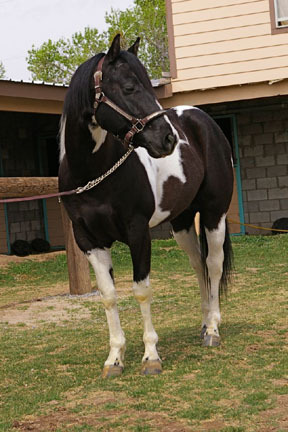 QTS Gunner is a 2011 APHA bay tobiano stallion. 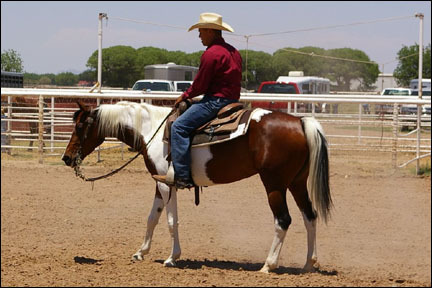 QTS Gunner, is by World Champion Reiner QT Poco Streke out of Ima Royal Gunner. 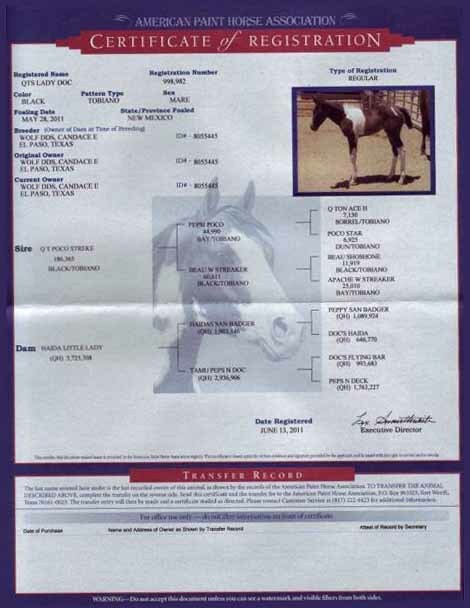 Click here to view the pedigree for QTS Gunner. 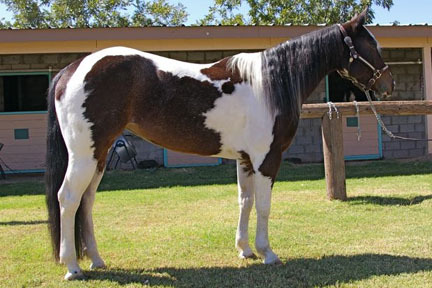 Velvet KSS is a 2006 APHA bay tobiano stallion. 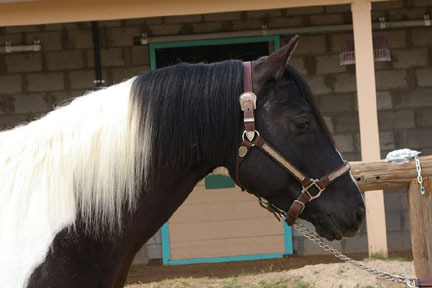 Velvet KSS, is by Pinto World Champion Reiner Kings Streakn Star out of Forever Velvet. 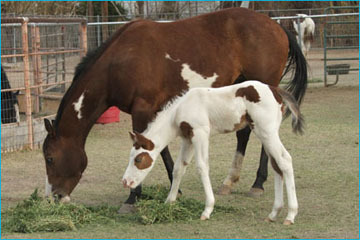 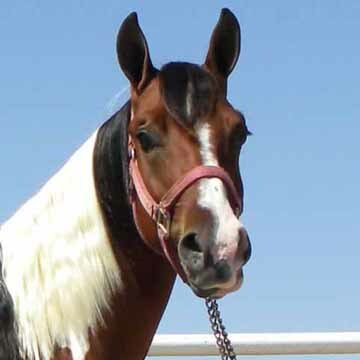 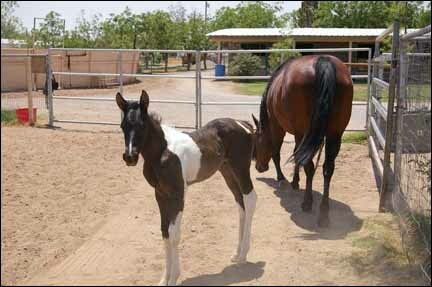 Velvet KSS is homozygous for the tobiano gene. 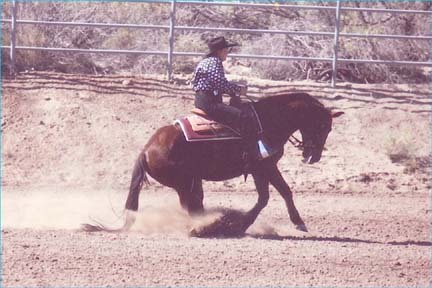 Forever Velvet has earned mutliple ROM's in a variety of events. 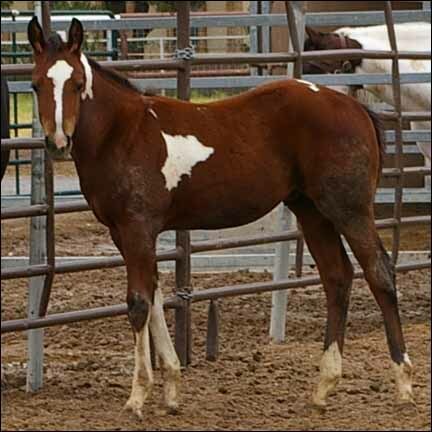 Click here to view the pedigree for Velvet KSS. 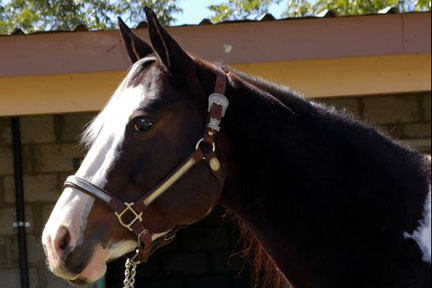 QTS Dormilona has been sold. 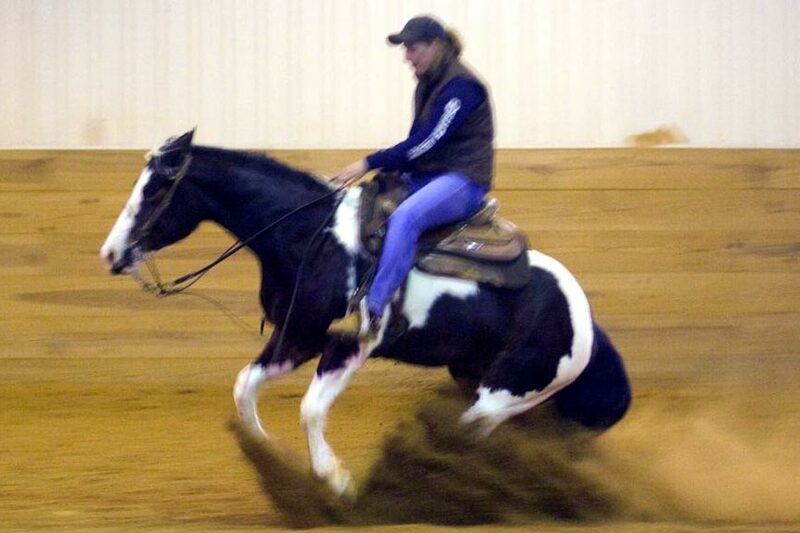 We wish her new owner all the best! 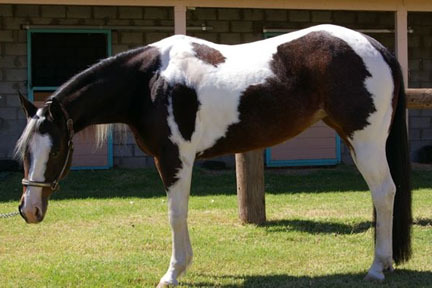 KSS Ozuye is a 2006 APHA black tobiano gelding. 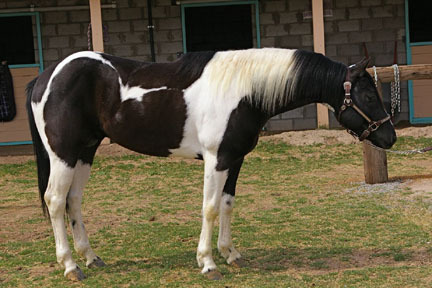 KSS Ozuye, is by Pinto World Champion Reiner Kings Streakn Star out of This Painted Lady. 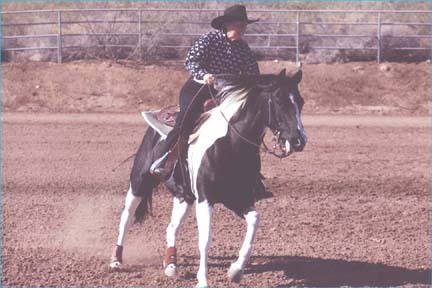 This Painted Lady finished Top Ten at the APHA World Shows from 1996 to 1999 in reining. 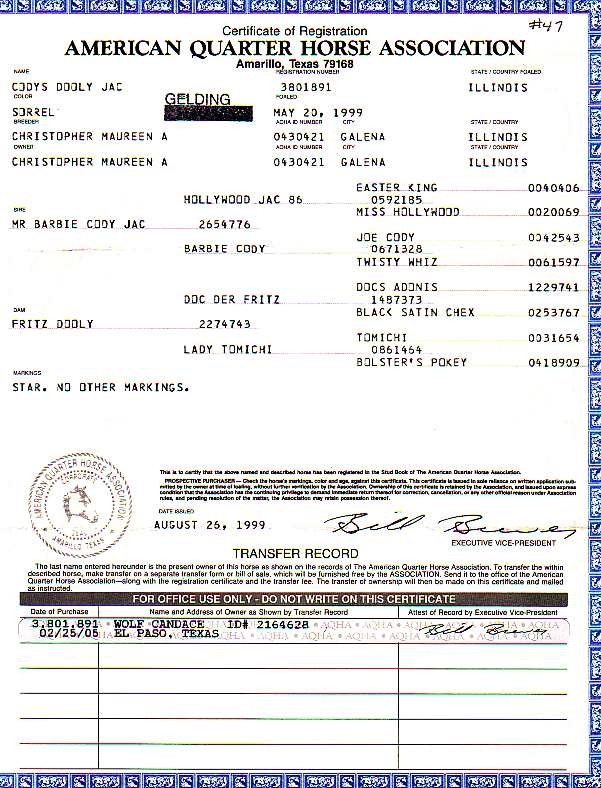 Click here to view the pedigree for KSS Ozuye. 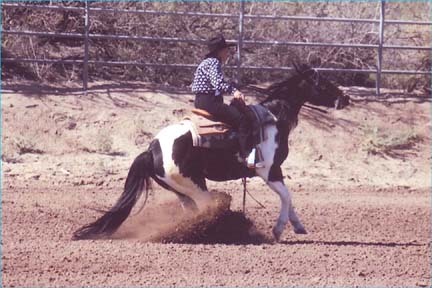 The following 4 photos of Von Reminics Chex were taken October 2009. 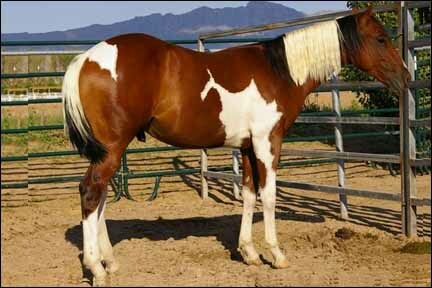 Von Reminics Chex is a 2003 APHA Bay tobiano mare. 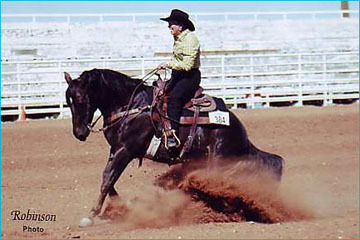 Von Reminics Chex, is the only paint mare by Von Reminic, National Reining Horse Association Futurity Champion, All-Time High Money Winning Reining Horse. 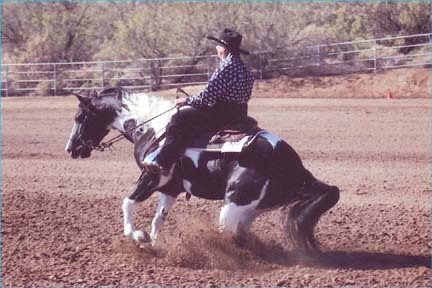 Von Reminics Chex was started by Josh Armstrong and has spent 6 months with Tanya Jenkins. 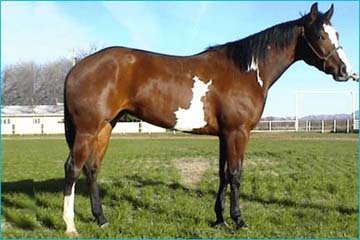 Click here to view the pedigree for Von Reminics Chex. 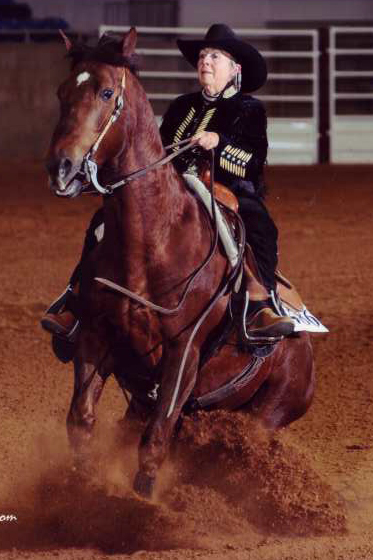 Congratulations to Taylor Luna on her purchase of Fancy. 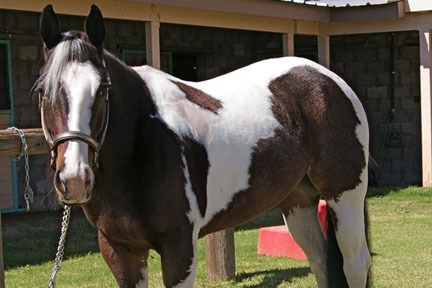 They seem to be a perfect match and are sure to make a great team! 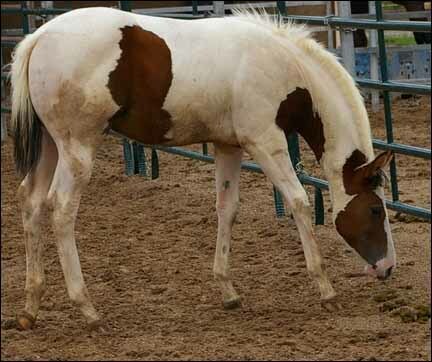 Shameless in Velvet, AKA "Fancy" is a 2002 APHA bay overo mare. 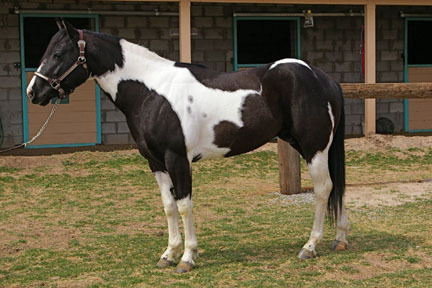 Shameless in Velvet, is by CW Shameless Sonny, and out of Forever Velvet. 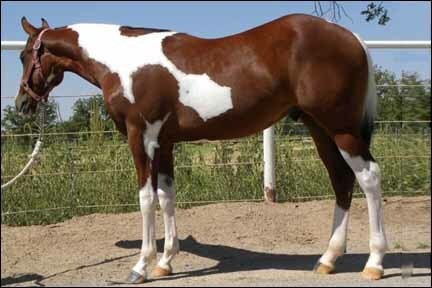 Shameless in Velvet is a granddaughter of Mr Shameless and earned 2 APHA halter points as a yearling. 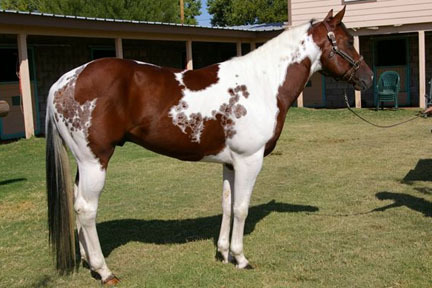 Click here to view the pedigree for Shameless in Velvet. 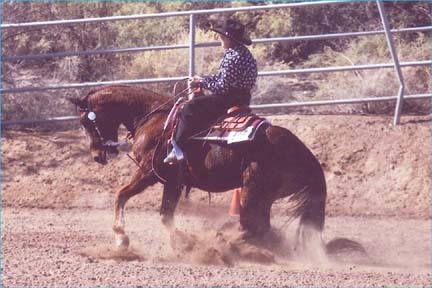 Cody Doolys Jac, AKA "Red" is a 1999 AQHA sorrel gelding. 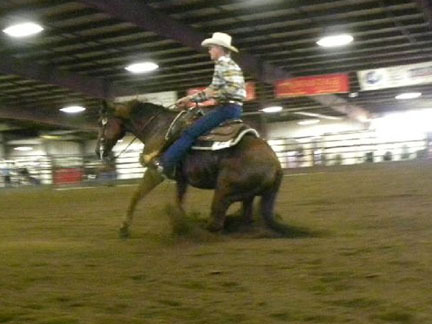 Cody Doolys Jac, is by Mr Barbie Cody Jac, and out of Fritz Dooly. 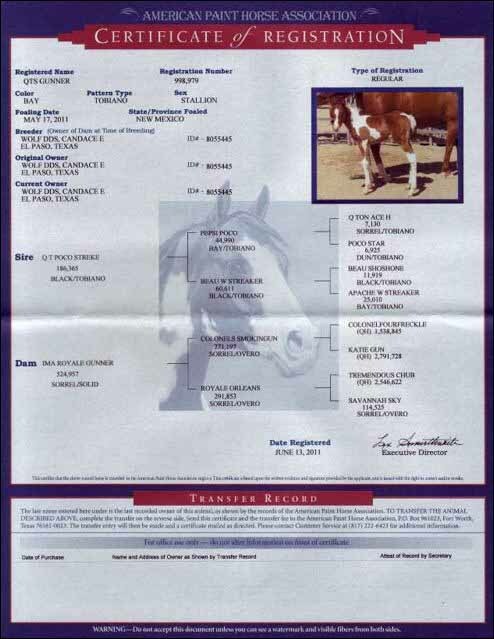 Click here to view the pedigree for Cody Doolys Jac.